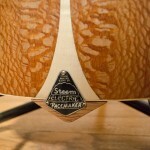 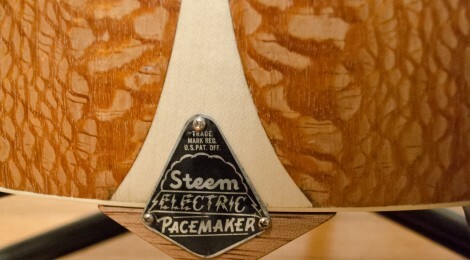 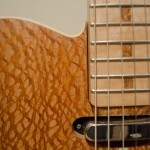 This little beauty is one of my favorites – awesome veneer. 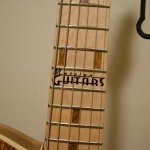 Book-matched Serpentine & found logo= Perfect Guitar Build…! 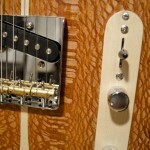 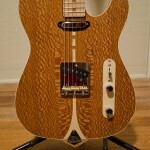 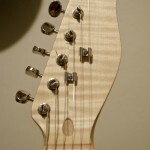 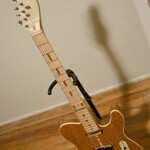 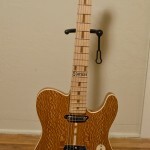 Serpentine veneer on alder Tele style body – all maple neck with serpentine inlay markers, filed, set and smooth -bone head nut, – GFS matched Vintage wound pickups – adjustable, intonable brass saddle bridge – cream color body binding, sycamore veneer inlays and head stock overlay – vintage metal “Steem Electric” model plate.